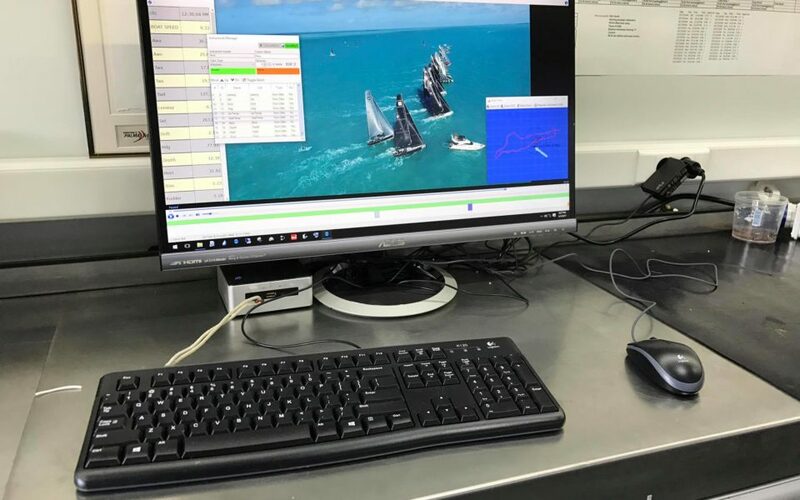 In the sailing sector we produce technical videos for professional racing teams with the aim of analyzing key boat maneuvers during post racing debriefing. We follow the boat at sea, using dedicated chase boats, we compile the footage and develop custom videos of starts, mark roundings and tactical/strategic maneuvers. Our images can be synchronized with the start countdown as well as with performance data to analyze the technical and crew behavior. In addition, our footage also allows for detailed analysis of sail shape. Drone images can be mounted along with images of a traditional action-cam or camera 360 which we use in order to have a multi-screen view of how boat and crew engage in critical maneuvers. Images of the race boats can also be used at any time for the use and consumption of sponsors or private owners. Since 2015, we have been working with tremendous success with top-level professional teams competing in the TP52 Superseries, RC44 and Maxi72 circuits. Photographic cameras, multispectral, hyperspectral, near infrared sensors, thermal imaging cameras and other specialized sensors can be mounted to fly on our drone fleet for the purpose of obtaining various forms of data which can be exploited for the most up-to-date precision farming techniques. Over the past few seasons, treatments against European Corn Borer (Ostrinia nubilalis) or the “Red Spider” (Tetranychus urticae) have become a proven reality. 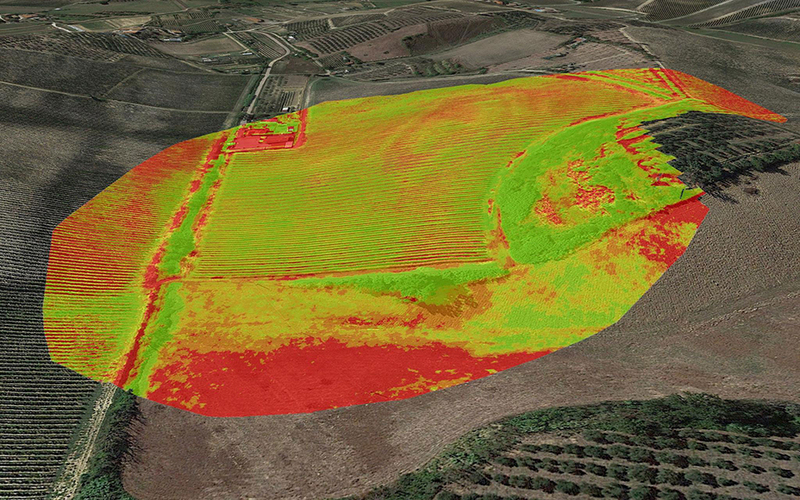 We are presently doing some interesting tests to evaluate the information available from the NDVI index in vineyards. 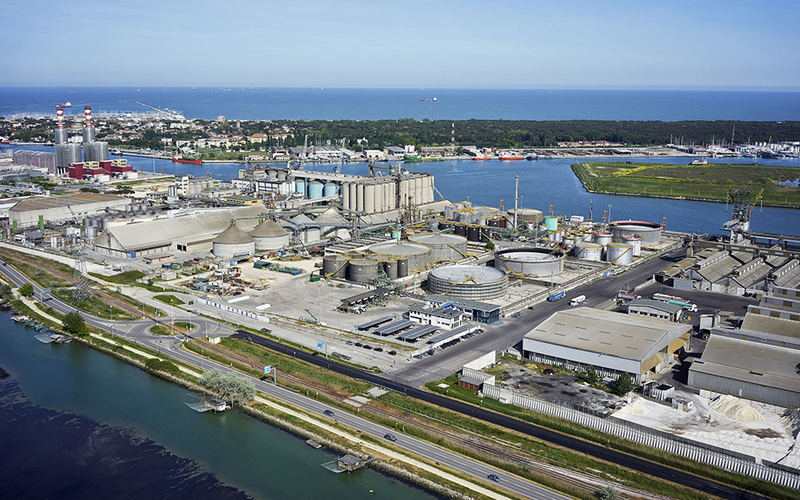 In the industrial sector there are many technical services we can develop for our clients, assisting in evaluation and inspection phases. Using a thermal camera, for example, is very useful in the field of construction and allows for the control of thermal dispersions of a building under construction or renovation. Inspections and surveys of inshore and offshore 2d-3d facilities, precision spectrometry, emission analysis, 3d identification of structural and material volumes, monitoring and progress reports, construction work, safety management inspection on site with certification of conformity to PSC are just some examples of what we can accomplish by designing customized interventions.